The word Orthomolecular is a term which was coined by Linus Pauling and comes from Greek ortho, for "correct" or "right," and "molecule," which is the simplest structure that displays the characteristics of a compound. So it literally means the "right molecule." 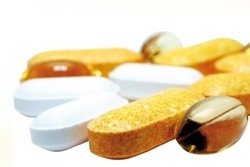 Orthomolecular medicine describes the practice of preventing and treating disease by providing the body with optimal amounts of substances and nutrients which are natural to the body. Orthomolecular nutrition can incorporate the use of natural wholesome organically grown foods and juices as medicines when available. When unavailable, the replacement of vitamin/mineral and nutritional supplements in appropriate supply can support the body's chemistry to normalise deficiencies which may or may not be associated with an individual's gene expression.